Contains premium organic and wild-crafted: Dill, Oregano, Cinnamon Bark, Black Cumin, Frankincense, Rosemary Cineole, Thyme, Ravensara, Clary Sage, Eucalyptus Globalis, and Chamomile German essential oils. 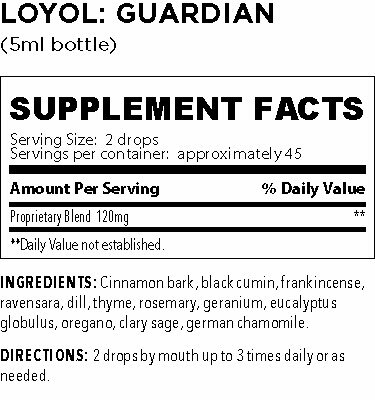 Guardian Loyol essential oil supplement is specifically formulated to stimulate the immune system and provide robust support during the cold and flu season. 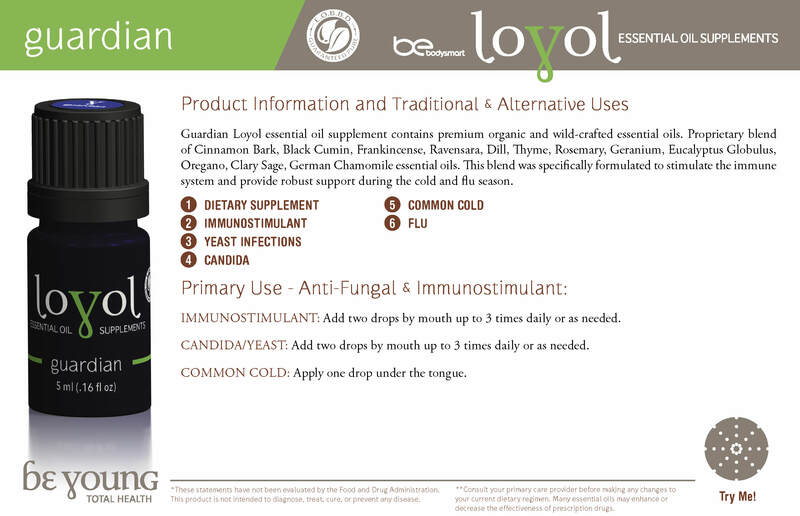 Formulated with some of the strongest essential oils known to enhance the body's natural defense system, Guardian Loyol essential oil supplement is 1 of the 4 powerhouse essential oil blends used to stimulate and boost the body's immune system and fight off unwanted cold and flu symtoms natually.